If you are like the vast majority of taxpayers, you’d rather jump off the nearest roof than face an IRS audit. But it might not be as bad as you think. In fact, the majority of audits of individual tax returns involve nothing more than an exchange of correspondence. Here’s a summary of what you can probably expect. First, understand that the IRS is probably only slightly happier about this than you are. The whole process of auditing a taxpayer eats up IRS resources, and it may or may not result in additional revenue. In fact, only around one percent of personal returns are audited annually. That said, certain triggers will force the IRS to look more closely at some tax returns. Most commonly, the IRS computer raises a red flag. Every tax return received is scanned by a computer system to check for anomalies between it and other returns filed by taxpayers who are in a financial situation similar to your own. This is called the discriminate information function or DIF. For example, most people who earn $75,000 a year do not give $50,000 of their income to charity. If you did this, and you claimed an itemized tax deduction for that amount, the IRS computer would sound an alert. Specifically, the system assigns each return a DIF score. A high DIF score indicates that the information in your tax return is unusual and does not meet the norms for your financial situation. At this point, a human agent steps in to personally review your tax return and decide whether it should be audited. This would happen, for example, if two or more taxpayers claimed the same dependent. The computer scans for things like dependents’ Social Security numbers. Other triggers include returns that report information from the same financial transactions. For example, you might be an independent contractor who did some consulting for ABC Corporation and the Corporation issued you a 1099-MISC for your services. The corporation’s return might have been questionable, and the organization is being audited. In this case, an agent might review your personal return also because you did business with ABC Corporation, particularly if the firm paid you a substantial amount of money. Unfortunately, if there is anything odd about your return, you can probably count on being audited. Here’s some good news: most people who are being audited don’t even realize it’s happening. Initially, you will receive notice from the IRS after the IRS agent examines your return and determines that there are questions to be answered. The notice will arrive through USPS mail. The IRS will not call you. It will not email you or send you a text message. If you are alerted to an audit by any means other than a mailed notice on an official IRS letterhead, contact the IRS or law enforcement immediately because it is a scam. The notice will explain what the agent feels is amiss with your return. It may ask you to confirm certain information, and it will probably ask for additional supporting documentation. Most importantly, it will tell you if you can simply return the documentation by mail or if you must meet in person with an IRS agent. When you are asked to return supporting documentation by mail, the IRS calls this a “correspondence audit.” Ideally, you will receive another notice a few weeks later after you have supplied the required documentation that confirms that your return is found to be accurate and the audit is over. Or the notice might state that your return was wrong and you owe an amount to the IRS. You must send the IRS the requested amount or contact them to explore payment options. Take some precautions when you mail in documentation to the IRS. Use certified mail, with a return receipt requested, so that there is no doubt that the IRS actually received it. You can also usually fax the requested documents so you will have a facsimile receipt showing that the transmission went through. If the IRS misplaces the information after this point, it is their responsibility. In more serious cases, you could face a full-fledged office or field audit. An office audit would take place at an IRS location, whereas a field audit occurs at a place of your choosing, typically your home or your tax professional’s office. You will be required to meet face-to-face with an IRS agent and to answer some questions. You may be asked to provide supporting documentation also. The agent will review the troublesome areas of your tax return with you. A correspondence audit typically focuses on one narrow issue while an in-person audit usually indicates that the IRS has more than a few questions about your return. You are meeting with the agent face-to-face because he wants to dig for information. Many tax attorneys recommend that you do not attend the audit personally, either alone or with your tax advisor. Send a representative in your place. This, too, is fine, but keep in mind that your representative must be “authorized”—in other words, he must have credentials recognized by the IRS. You cannot take your brother-in-law because he minored in tax, for example. Most audits take place within two years of the filing date of a tax return, but the IRS technically has up to three years to conduct its questioning on returns and up to six years in some cases. This longer timeframe typically occurs because something about a more recent return has raised questions about an older one. You should, therefore, keep all supporting tax documentation—everything on which you based your tax return—for six years, just in case. Tax law requires that you keep it for at least three years. The IRS accepts electronically stored data in some cases, but you might want to keep paper copies as well for backup. The IRS determines there is not a problem with your tax return after all. The IRS determines that there is a problem, and you recognize your error and agree with the agent’s findings. You disagree with the agent’s findings. If you agree, you will be asked to sign an examination report and possibly remit a few more dollars in taxes. When you sign and pay, that’s it. Your audit is over. If you disagree, you can ask for mediation with the IRS to further try to work things out, or you can speak to an IRS manager and perhaps convince him that the original agent’s estimation of the situation is wrong. You also have the right to appeal any IRS decision. You will most likely need the help of an experienced tax professional or tax attorney to appeal an IRS decision. 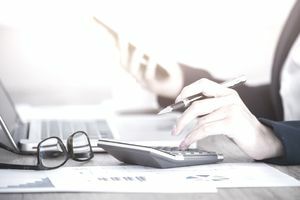 There may be a statute of limitations, but a tax professional should be well aware of this, so see a professional right away if you want to dispute the audit’s findings.